Get a jump start on Spring with a fresh pair of gloves, boots, garden hats, and tools. Shop our gardener's boutique for the latest looks in gardening aprons and totes. Check out our selection of gourmet foods and beverages, new to GSCO! We are now offering some of our favorite baking mixes, canned preserves, and local edibles. Shop our Mccutcheon's canned products featuring butters, preserves, jams, jellies, hot sauces, salad dressings, relishes, BBQ sauces, and more. We can't forget their ever so popular Apple Ciders - even better served warm! All with that old fashioned home made quality and taste you will love. Mccutcheon's use only real cane sugar and natural fruit juices as sweeteners. Try our Private Label baking mixes with recipes including Rosemary Garlic Beer Bread, Key Lime Coconut Whipping Cream Scones, Herbs de Provence Boule, Lavendar and Rose Whipping Cream Scones, Lemon Squares, Orange Cinnamon Whipping Cream Scones, and Lemon Lavendar Whipping Cream Scones. Also from Mccutcheon's are our staff favorite - old fashioned bottled sodas. Choose from Birch Beer, Orange Cream Soda, Grape Soda, Diet Rootbeer, and Black Cherry Cola. We also offer local favorites from Dewey's Bakery in Winston Salem, North Carolina. At the top of the list among customers are the Moravian Sugar Cookies. Peanuts from Bertie County make great snack when you're looking for that little something salty or even sweet perhaps. Choose from Wasabi, Honey Roasted, Butterscotch, Salt and Pepper, Chocolate Covered and Batchelor Bay. 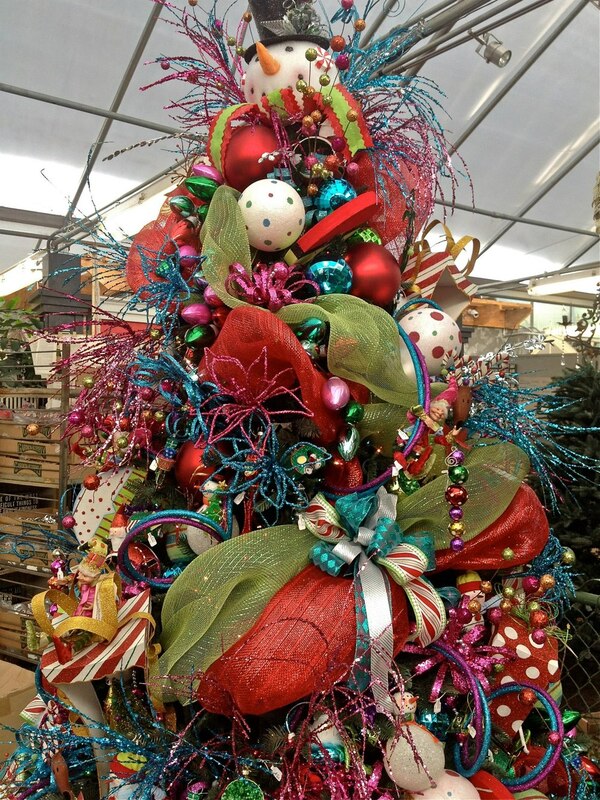 'Tis the Season at Garden Supply Co..............for birding! We have a brand new bird department with a great selection on seed, feeders, and awesome hand crafted houses. Stop by and find the perfect present for all ages. Young and old alike will enjoy the gift of nature this holiday season. Plus the birds will love you, too! 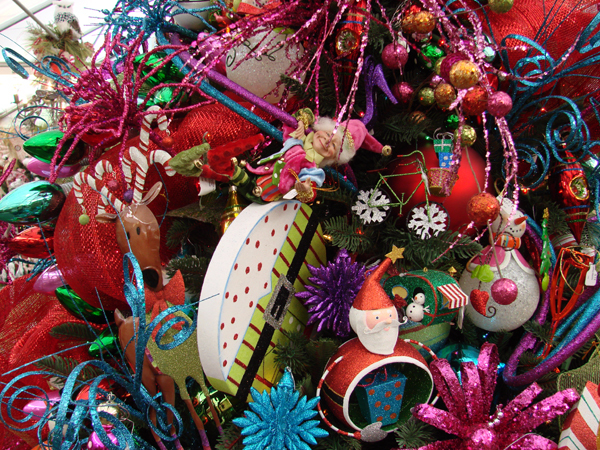 Happy holidays from all of us at Garden Supply Co.
Mark your calendars for our favorite special event! We hope you can join us this weekend as we kick off the holiday season with our annual Holiday Open House. Our helper elves have been working hard to turn the Greenhouse into a spectacular winter wonderland, and we are so excited to share this season's offerings with you! 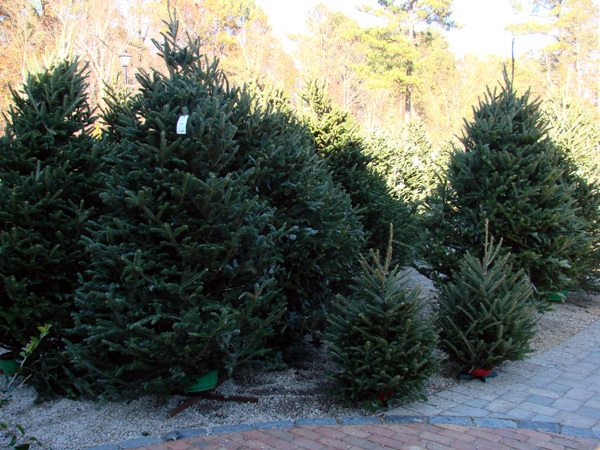 The festivities begin Friday with our much anticipated tree-lit evening in the garden. Stroll the Greenhouse in the twinkling lights and magic of the season while enjoying the peak of beauty of our freshly decorated trees. Our Holiday Open House continues throughout the weekend as well, so come on back and visit with us more! We're looking forward to seeing you all! Also, we still have some great deals on Caladiums. Lots of beautiful color variations to choose from. And in the Greenhouse, save big on our entire collection of indoor/outdoor recycled rugs. Now 50% off! These recycled plastic mats can be used inside or out, in covered and uncovered spaces. They don't absorb dirt or stains. Leaves, debris, and food stains are easily rinsed away, plus they resist mildew because they don't absorb moisture. 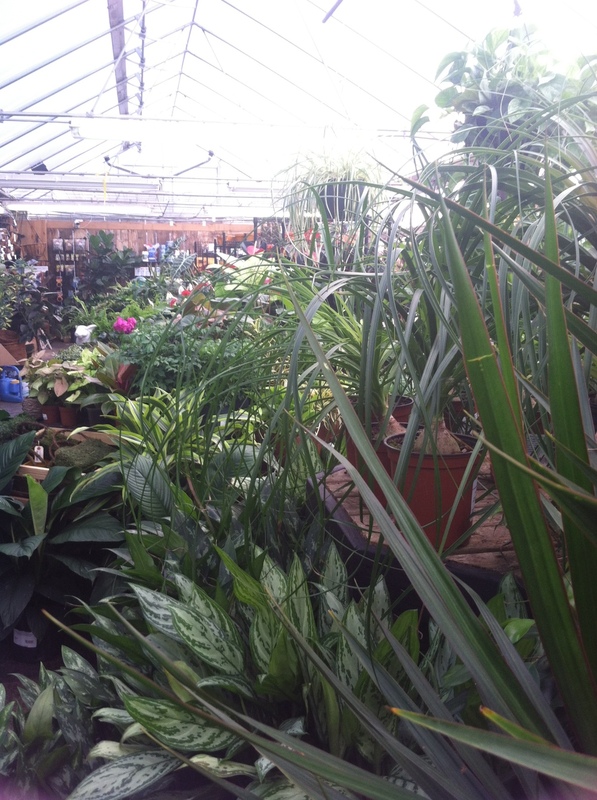 For more great sale deals, be sure to stop by the garden center! We're constantly updating our sales tables to make room for all the new fall and winter merchandise that's starting to arrive. You never know what you'll find, so be sure to stop by! Our landscape designers are on hand this weekend for a special Meet the Designers event. Stop in to meet the team and learn about our services from consultation, to design and install, to maintenance packages. Book a consultation for the month of August for only $65. That's 50% off our regular fee! With the end of summer in sight and the fall season about to begin, now is the perfect time to start that landscaping project you've always been dreaming about! For more information about our landscape services and a photo album of our work, please visit our website. The trucks have been rolling in this week with shipments of fresh plants, straight from the farm. And we're super excited to be able to offer special savings on select perennials all this weekend at Garden Supply Co. Now through Monday, select perennial favorites are on sale for $6.95. Favorites such as drought-tolerant iceplant, an excellent ground cover for hot, dry areas. Foxgloves, perfect for adding height with their elongated stems. Homestead Purple Verbena, a perennial favorite for continual color and heat-tolerant blossoms all summer long. Give your garden four seasons of interest with low-maintenance ornamental grasses. And daylilies, another easy-to-grow perennial favorite perfect for naturalized areas. Farm Fresh Perennial Sale, this weekend at Garden Supply Co.
Garden Supply Co.- Cary, NC Just a quick note to let you know that tomorrow, Tuesday July 24th, for one day only, all Daylilies will be on sale Buy One, Get One Free at Garden Supply Co. If you love plants with bold blossoms that are easy to grow and perfectly suited to our Piedmont area growing conditions, then Daylilies are for you. Daylilies are rugged, adaptable, vigorous perennials that endure in a garden for many years with little or no care. Daylilies adapt to a wide range of soil and light conditions. 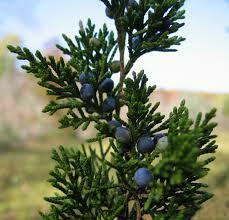 They establish quickly, grow vigorously, and survive winters with little or no injury. Each Daylily plant produces an abundance of flower buds that open over a long period of time. There are many varieties, a wide range of flower colors, and the flowers continue during the heat of the summer. Daylilies are useful in the perennial flower border, planted in large masses, or as a ground cover on slopes, where they form a dense mat in just a few years. If you haven't given them a try, now is the time to stock up and save. Hope to see you tomorrow for our special One-Day Sale. Summer is in full swing and we're celebrating with HUGE savings on plants and home & gift decor throughout the garden center. This is one giant sale that you won't want to miss! For those of you interested in growing your own fruits and vegetables, now is the time to stock up and save. EVERYTHING EDIBLE is now BUY ONE, GET ONE FREE, while supplies last. Our fruit trees are loaded with fruit and if you enjoy blueberries, this prolific plant adds interest year-round to your landscape. Tomato plants, vegetables, you name it.....anything edible is now on sale. Also on sale right now is our entire stock of Caladium plants. Add these tropical beauties to your borders, beds, and container plantings for an instant burst of color. Caladiums are tropical plants that are grown for their spectacularly colorful foliage. 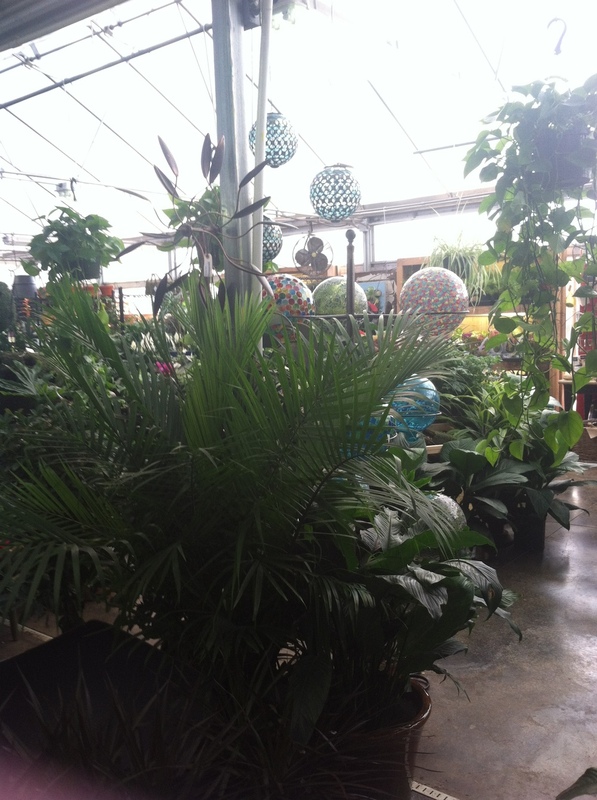 Although tropical, they grow fast enough to be enjoyed during the summer in our area and all year long as houseplants. Shade and humidity lovers, Caladiums dazzle in shade gardens with their large, pointed arrow-shaped leaves splashed with shades of green, white, cream, pink and red. 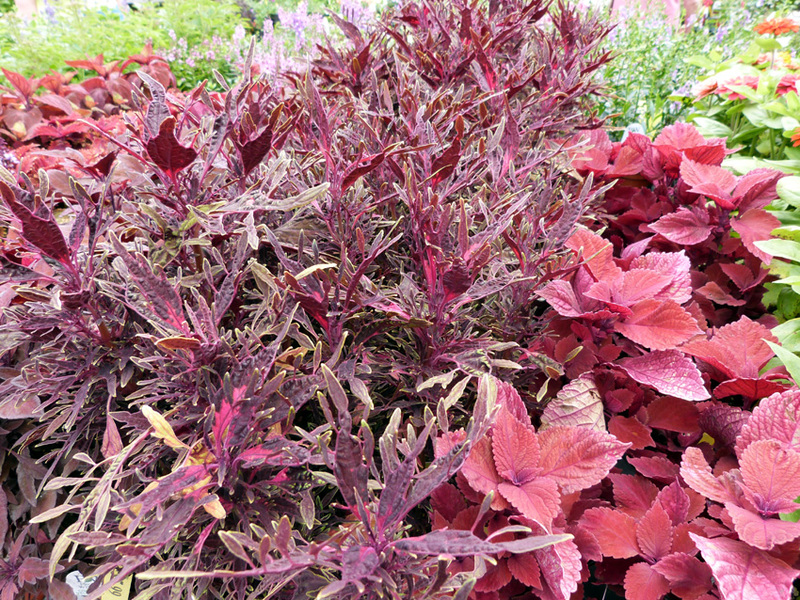 Next on our sale list are annual purple fountain grasses and sweet potato vines, now 50% off. Purple Fountain Grass is a popular, drought tolerant grass that forms neat clumps of purplish maroon blades. Topped by rose red flower spikes summer through fall. Beautiful as landscape specimen or planted in groups. 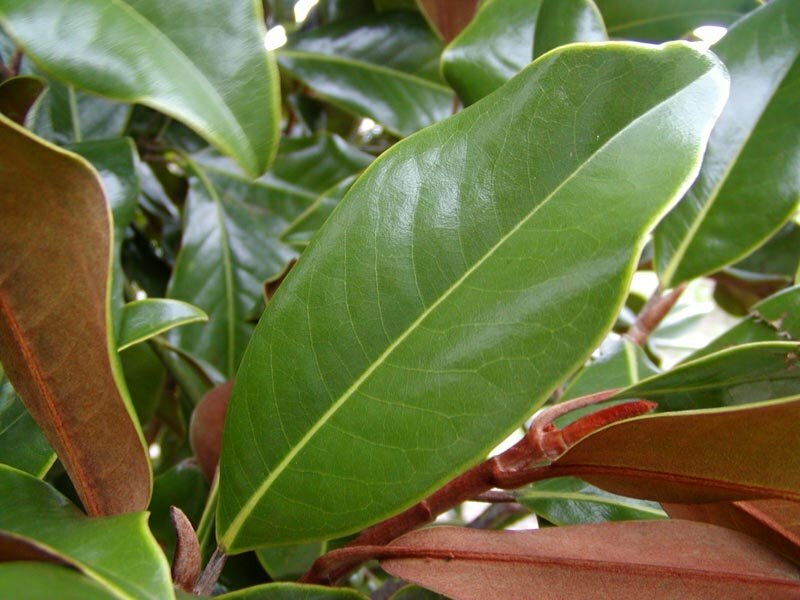 Provides quick annual color in any climate. Among the most popular container-garden plants, sweet potato vine is a vigorous grower that you can count on to make a big impact. Its colorful foliage, in shades of chartreuse or purple, accents just about any other plant. 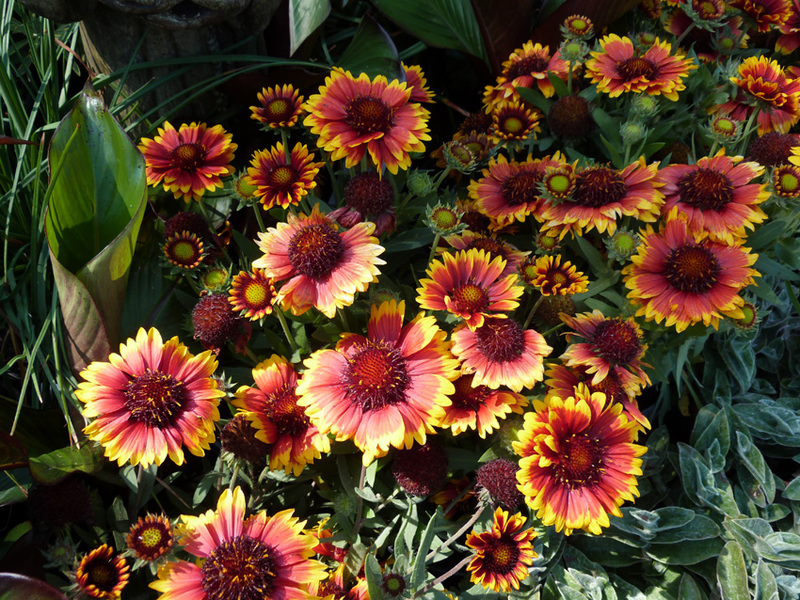 Grow a few together in a large pot, and they make a big impact all on their own. Our summer savings spectacular also includes home and gift decor from the greenhouse. This weekend is the last chance to buy any gift and home decor at 35% off. All our remaining inventory of recycled plastic mats are now 50% off. These amazing recycled plastic rugs can be used inside or outside in covered and uncovered spaces. With their unique tubular fibers, these rugs don't absorb dirt or stains. Leaves, debris, and food stains are easily rinsed away, plus they resist mildew because they don't absorb moisture. We have lots of sizes and patterns to choose from, so come take a peek! Hope to see you all in the garden center soon! Cary, NC If you missed out on our winter workshop series earlier this year, not to worry. You can still come in anytime and create a fabulous terrarium or mini garden at our new Do-It-Yourself workstation in the Greenhouse. We've got all the supplies and help needed to get you started today. Terrariums and mini gardens are a fun and unique way to incorporate some fresh, living greens into your home. Like all houseplants, terrariums and mini gardens add a decorative element to your home decor, while also contributing a zen feeling of relaxation to any environment. They also provide many health benefits by purifying the air and removing pollutants from your home, like VOCs, cigarette smoke, allergens, and carbon dioxide. Plus, it's believed that houseplants actually reduce stress. And for those of you with young children or pets, terrariums and mini gardens may be a worry-free way to add greenery to your home. The first step is choosing your container. It can be open or closed, large or small, the choice is up to you. You are welcome to bring your own container from home, or chose from our fabulous selection. Next, head to our workstation. For $10, we provide all the soil, stones, and moss you will need to create your project. Our friendly staff is on hand to get you started. Then shop from our selection of hundreds of beautiful plants to fill your container. Finally, and perhaps the most fun of all, add decorative accessories and finishing touches.We have a ton to choose from! We're here seven days a week to help with all your gardening needs. Hope to see you soon at Garden Supply Co! Rather than the usual cut flowers, why not consider a beautiful, blooming potted plant, instead? Pots last much longer than cut flowers, and many have the added benefit of being able to be transplanted into the garden once they are done blooming. We have many varieties to choose from right now in the Greenhouse, including daffodils, tulips, cyclamen, hyacinths, tuberous begonias, orchids, and more. 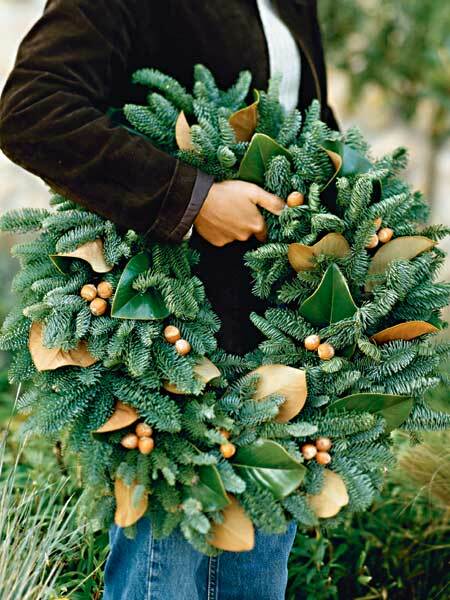 Looking for a way to dress up those potted plants? Add a folk-art metal Valentine pick for an instant cheery gift. PAPAYA! has a line of accessories that are unique, fun, and very artsy. So perfect for that unique and special woman in your life. PAPAYA! has been pushing the envelope since 2003 with fresh graphics, bold imagery, and a philosophy all their own. Since the beginning they have pursued an unconventional harmony of art & design. We are excited to offer a large selection of products, including handle bags, large accessory bags, magnets, and canvases and prints. I am just smitten with these, and think you will be, too. The Tyler Candle Company is an absolute favorite in the home fragrance department. We have a large selection of their candles, as well as Glamour Reeds, lotions, and fragrances. For more bath and beauty products, check out Tokyomilk, and exciting new company out of Denver, CO. to arrive at Garden Supply Co. You are going to love their bold fragrance combinations available in both bubbling bath and candles. Like Bon Bon, a combination of lily, peony, vanilla bean, and violet petals. There's also Lapsang Su Chong, a mixture of winter moss, asuka rose, sandalwood, and black current. Or try Paper & Cotton, a blend of coriander, white sage, birch wood, and tundra moss. We also offer a stunning variety of home decor pieces in a wide range of styles. My favorite is this one-of-a-kind reclaimed barn-wood art plaque. Or how about some smaller pieces like these? And for one last top-fave Valentine pick, check out these adorable burlap alphabet banners. Pick and choose your own combination to create custom banners for any occassion. 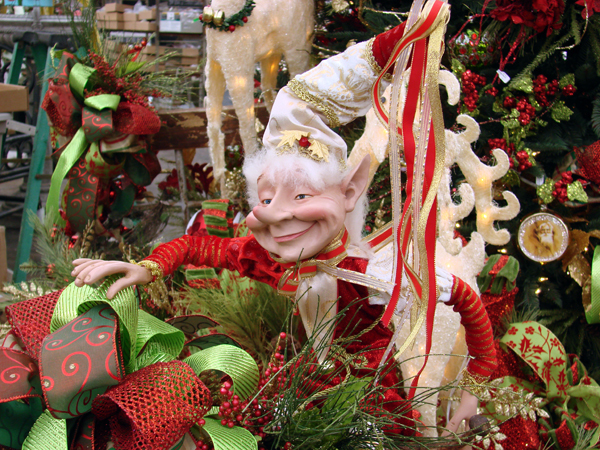 For more great gift ideas, be sure to stop by the garden center. Our friendly staff is always available to help pick that perfect gift. And don't forget we offer gift certificates and complimentary gift wrap, too.